This stylish duo made quite the impression in Harajuku with their green hair and striking outfits. On the left is Fuma in a crisp white Giorgio Armani top tucked into GU black ripped jeans. The 18-year-old student styled them with a Miu Miu black jacket, white socks, and black leather lace-up shoes. Fuma completed his look with a dangling earring, a black leather belt, a chain, and chunky rings. His accessories are from FU•XU•RY. 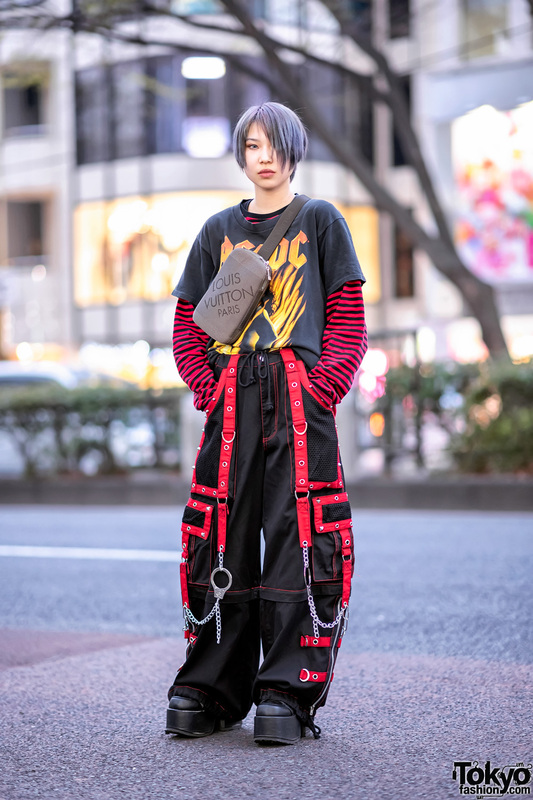 Fuma gets his favorite fashion pieces from More Than Dope, and he likes listening to music from Kyary Pamyu Pamyu. Follow Fuma on both Instagram and Twitter to keep up with his social media updates. Meanwhile, Mayu donned a loose vintage black jacket with the cuffs rolled up. The 15-year-old student wore it over a vintage grey top, which she tucked into a vintage printed long skirt. 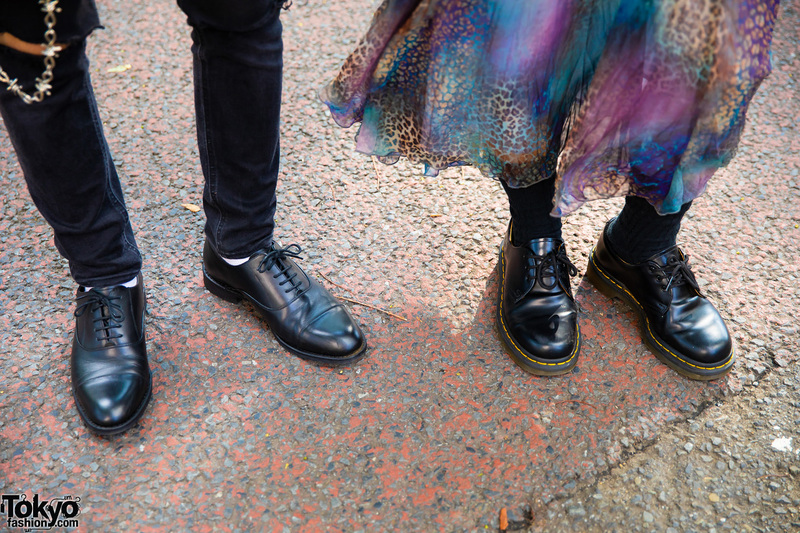 She also wore black socks, Dr. Martens black leather lace-up shoes, and a brown belt. Light green shoulder-length hair, pink lips, and Tiffany & Co. accessories provided the finishing touches to her look. Mayu’s favorite fashion brand is Balenciaga, while her favorite musical artist is The White Stripes. For more on Mayu, follow her on Instagram.